Wonka®, the quirky candy company known for their fun products, was launching their highly anticipated new candy bar, the Wonka Kazoozle®. They wanted excitement levels to match the brand's enthusiasm, so they needed an exciting way to increase awareness of the new product throughout all grocery stores where the product would be sold. They decided to hand out Pizza Reward Cards to all consumers who shopped in participating food stores. Pizza Reward Cards were the perfect fit for a grocery store giveaway. 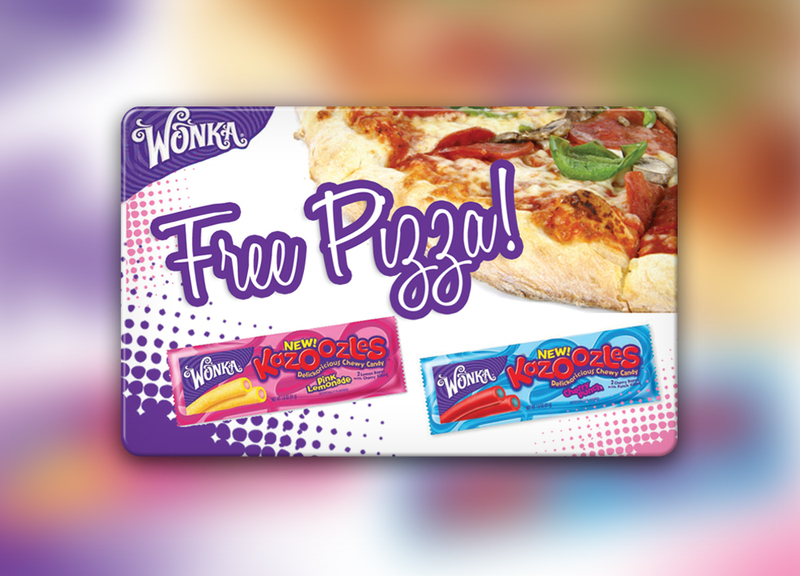 Not only did the reward give away free pizza, but also, the branded card furthered the candy company's quirky image. Upon receiving the card, shoppers now had the opportunity to receive a free meal, courtesy of Wonka, from over 50,000 pizzerias nationwide. Branded reward cards are compact, lightweight, and easy to ship. This campaign was very easy to deliver to mass quantities without logistic intervention and overall, gave Wonka a more appealing impression. 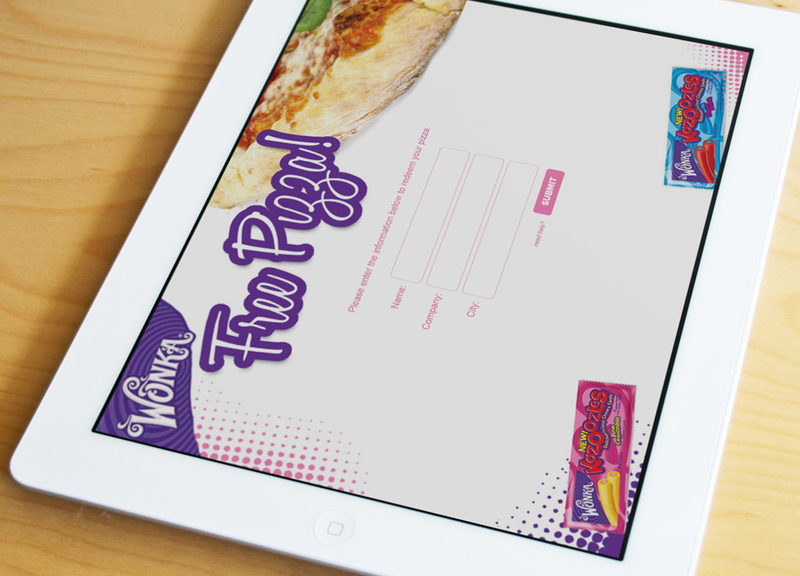 Providing Pizza Reward Cards was the perfect incentive for Wonka to introduce their new product, and further their brand's awareness. What could be better than pizza and candy?